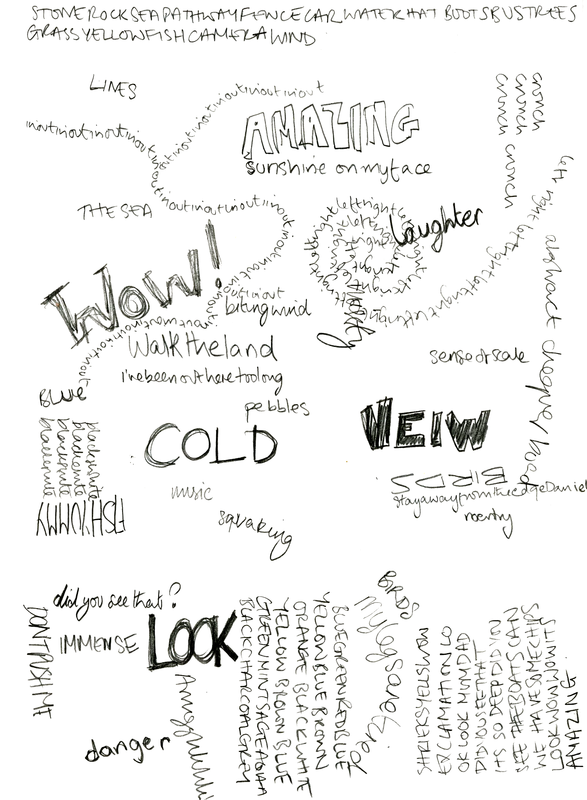 Drawing is an amazing and unique tool that creates space for contemplation and experimentation, providing a catalyst for a richer understanding of the world. It forces you to be specific, to look intently at a subject, a way of communicating what you see, not what you think you see. 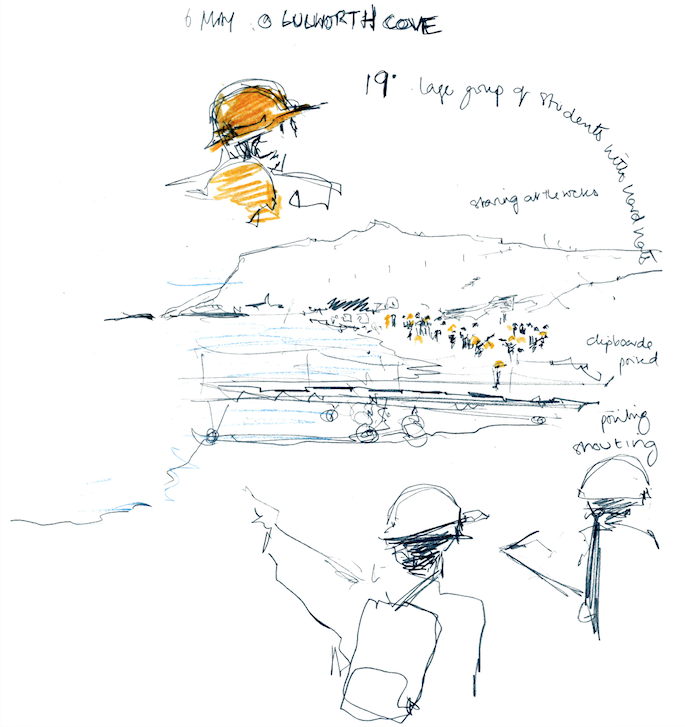 Drawing research is a way of collating vast amounts of information in an imaginative and responsive way, whilst allowing opportunities for engagement and participation through making. In this unique way illustration can help to discover what we don’t know and help to identify lines of questioning or raise further questions on specific subject matter. 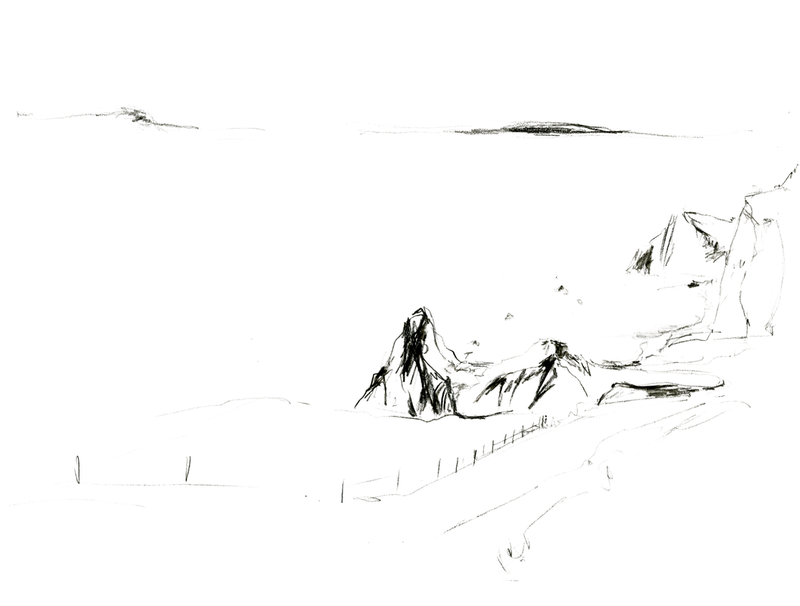 During April and May 2016 I was lucky enough to be accepted by Lulworth Estate as their in resident illustrator, using drawing as a research tool to investigate Point of View – how I and others see and connect with the landscape. 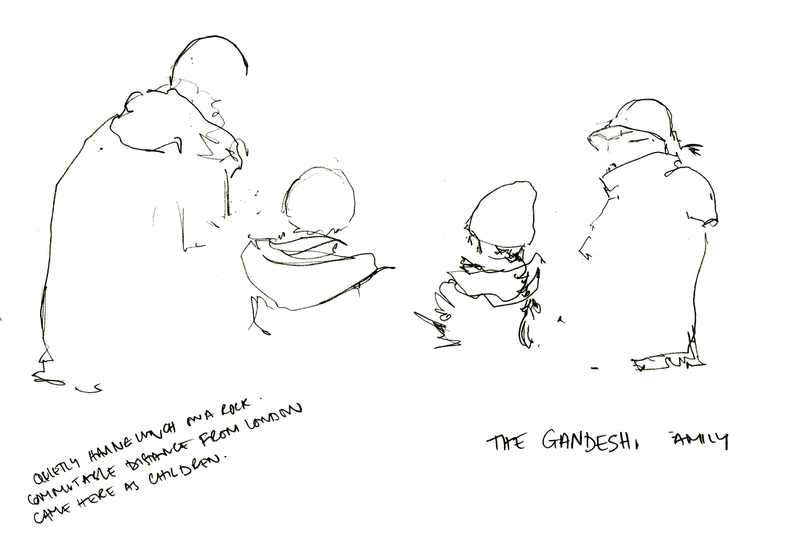 I applied focus within drawing practice, drawing as research, printmaking, reportage illustration and professional practice and during my time there was able to spend two to three days a week on location - drawing, speaking to people, researching and responding to the elements, environment, personalities and experiences. During the residency I used various techniques including journaling, to create a work that reflected 'Point of View'. 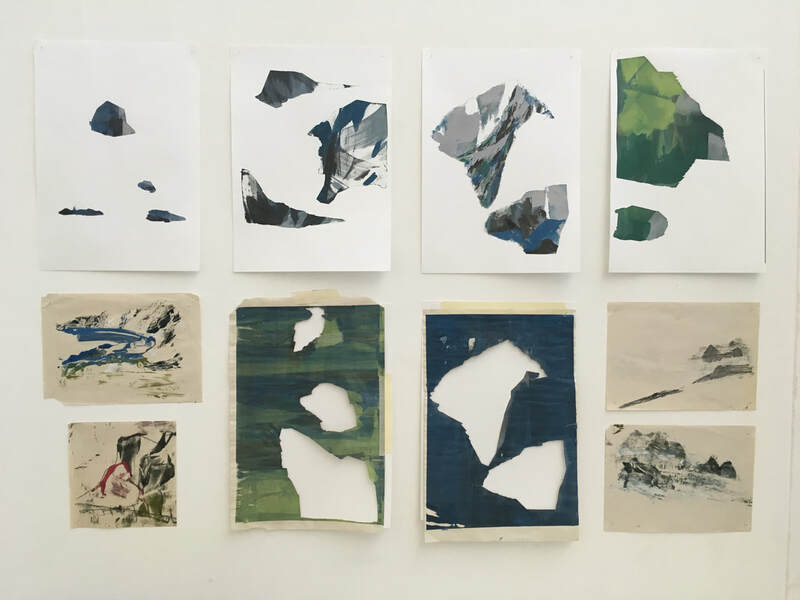 Through drawing I explored how I and others saw and engaged with the landscape, and experimented with my practice in order to build up a body of work on location (including sound bites, film and photography) that I could then take back into the print room. The outcome of the project was a large and complex body of work that recorded and responded to the landscape and those who visit it. A project call 'The Walk' was developed as a visual way of communicating with the landscape and is now evolving into a long term project that I will use in various other locations. Lulworth estate is a world heritage site located the jurassic coast. It is one of the most beautiful places in England, attracting thousands of visitors every month to study the geology, walk the landscape, and take in the amazing views. My attention has been drawn to Lulworth Cove and the mile of landscape that runs between it and Durdle Door. It is a beautiful location, with hidden walks, varied wildlife and changing weather. I chose this location in which to base my project because of it's epic beauty and scope as a subject. I want my creative career to have drawing at it’s heart and be able to work on the landscape and alongside adventurers on journeys of discovery. I am inspired by walking and outdoor living, the elements and those who want to explore and interrogate the natural world. ​I want to be an artist and adventurer, and inspire an unconventional way of looking at the world and illustration as a practice. Being part of and drawing within a landscape, discovering new things and being able to encourage others to engage in the same way is very exciting to me. 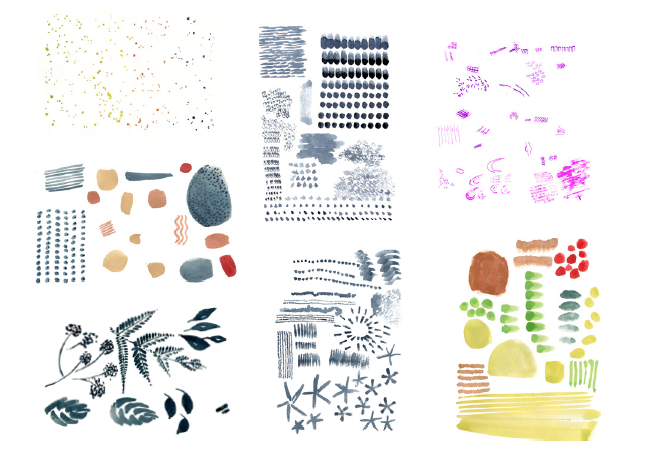 Print has really been the place where all my research and drawing during this project has developed into an aesthetic that is emotive and engaging. I was able to experiment with mark making and techniques that challenged my decision making and post production skills and ramped up my working practice. During the residency I really enjoyed taking time to experiment in the studio with texture and form relating to the rock and patterns of the landscape. My interest in colour developed and I pushed myself to play with tone and direct mixing of colours on screens to replicate or imply rock formations, scale or weather conditions. I love to work with stencils and in the studio was drawn to explore the shapes of the landscape. I feel as though some of my best work has been done in this way. As a result of my work on location and experimentation with process I now use both drawing and printing in this way in order to inform each other. The results have been surprising but have given me confidence to create polished images that can then be worked back into. This project encourage a confidence in making and trusting the processes of drawing and printing, as well as my own creative drive. A semi-abstract aesthetic drawn from observational drawings has emerged from my time in residence and I feel comfortable and confident with this way of working. Drawing for me is not necessarily or obviously a way of expressing myself - but I guess that you could say there is part of me in everything drawing that I make - but it is more than that, a way for me to observe the world and people around me; to look and notice the environment, the visceral experiences of the natural world. I love being outdoors, drawing out on location with the simplest and rudimentary materials, but similarly I love being in the studio where I can experiment with paper, printing and framing. Drawing gives me a freedom and flexibility that taking a photograph doesn't. Drawing and painting is simply a way for me to communicate what I see or feel in an immediate way. I love the instability of watercolour and ink and when drawing with pencil or charcoal seem to always smudge the images with the back of my hand in order to layer the medium and muddy the marks. When out on location for this project I generally used pencil, watercolour pencil and pen so that the elements could affect my mark making and add to the 'experience' of drawing. I took inspiration again from the physical landscape as well as using drawings back in the studio and working from and with them. As part of my research I used drawing in many different ways in order to interrogate subject and really enjoyed looking into contemporary drawing practice to help inform the way I worked. If you have any questions about the Lulworth residency or want to speak about work, please contact me.